Located in the lap of nature, Manali (Himachal Pradesh) is one of the most beautiful hill stations of North India. 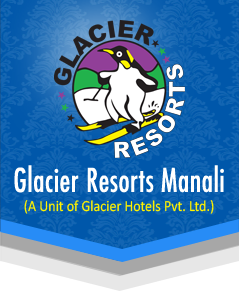 Counted among one of the most popular holiday retreats, Chandigarh Shimla Manali Packages, Manali is famous for not only the spectacular and picturesque locations but also countless places of interest and tourist spots which are spread all over the place. Book Manali Sightseeing Packages for the interesting places of interest includes Nehru Kund, Solang Valley, Kothi, Gulaba Camp, Rahala Fall, Marhi, Rani Nala, Rohtang Pass, Vaishno Temple, Kullu Shawls Weaving Industries, Angoora Rabbit Farm, Kasol Valley, Manikaran, Jagatsukh Temple, Naggar Castle, Roerich Art Gallery, Hadimba Temple, Siyal Mahadev Temple, Manu Maharishi Temple, Vashisth Temple, Tibetan Monastery & Van Vihar, etc.